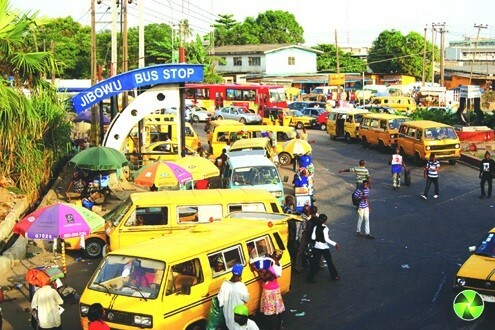 Lagos State Governor, Mr Akinwunmi Ambode, on Monday maintained that plans are going on to remove yellow buses popularly known as Danfo from Lagos roads for a more efficient, well-structured and world class mass transportation system that would facilitate ease of movement within the city. Mr Ambode also said that his administration would soon roll out a comprehensive environmental sanitation policy that would make the city to be clean without much burden on the people in terms of taxes. Speaking at the 14th Annual Lecture of the Centre for Values in Leadership (CVL) held at Muson Centre in Onikan with the theme: ‘Living Well Together, Tomorrow: The Challenge Of Africa’s Future Cities,’ Governor Ambode admitted that the present connectivity mode in Lagos was not acceptable and befitting for a mega city, and as such a well-structured transportation mode would soon be put in place to address the challenge. “When I wake up in the morning and see all these yellow buses and see Okada and all kinds of tricycles and then we claim we are a mega city, that is not true and we must first acknowledge that that is a faulty connectivity that we are running. “Having accepted that, we have to look for the solution and that is why we want to banish yellow buses this year. We must address the issue of connectivity that makes people to move around with ease and that is where we are going. “For instance, people going from Ikorodu to CMS have started leaving their cars at home because the buses are very convenient and so why can’t we do that for other places? Yes, we don’t have the money to do that but we can go to the capital market and then improve on the technology of collection of fares and that will encourage investors and then the city will change,” Governor Ambode said. He said government was also embarking on massive reform in waste management system, expressing optimism that the plan will fully be actualized by July this year. The Governor, who recalled the massive infrastructures being put in place in critical sectors of the Lagos economy such as transport sector, road construction and rehabilitation, construction of lay-bys, and flyovers among others, said the main objective of his administration remained the growth of the Lagos economy from 5th to 3rd largest economy in Africa. On power, Governor Ambode said the major issue had always been with transmission and advocated an embedded power initiative that would allow clusters of Independent Power Projects (IPP) to run the cities. He said he had remained focused on some issues such as infrastructure, security, job creation, power, adoption of technology as an enabler and driving investment through ease of doing business. In his opening remarks, CVL founder and renowned development expert, Professor Pat Utomi said the idea behind the formation of the group was to get young people to begin to appreciate early what leadership was all about being service to the people. Speaking on the theme of the symposium, Mr Utomi said Lagos remained the best governed State in Nigeria in the last 18 years, and a good example of what the country should be beyond and without oil. He commended Governor Ambode on his leadership style, and particularly congratulated Lagos for being named by the Rockefeller Foundation as one of the 100 most resilient cities in the world. Chairman of the occasion and former Governor of Cross River State, Mr Liyel Imoke said the theme of the symposium was apt considering that Nigeria’s population by 2050 would have tripled and as such it was important for the country to start planning for liveable cities. He commended Governor Ambode over his achievements in office so far, saying that it was obvious that the Governor has been performing very well and he is a good example of continuity in governance. On his part, Director of Centre for African Economies, Oxford University, Professor Paul Collier said from his over 30 years’ experience of coming to Nigeria, Governor Ambode has proven himself to be the third excellent Governor in a row in Lagos. Mr Collier, who was the keynote speaker, said judging by the population projection of Nigeria by 2050, now is the time for the country to start building its cities to conform with modern trend. He said Nigeria’s oil had been a course which messed up the economy, and so there was need to start proper planning for development. As a way out, Collier suggested alliance between the business community and political actors, saying that to build a city that works, attention must be focused on energy and connectivity.